Please note: This print is limited to 1 per customer, orders in excess of 1 per customer will be canceled. All sales of "The Green Machine" are final, no returns or exchanges will be accepted. Exceptional care is taken to ensure that the prints are shipped and received free of defect. 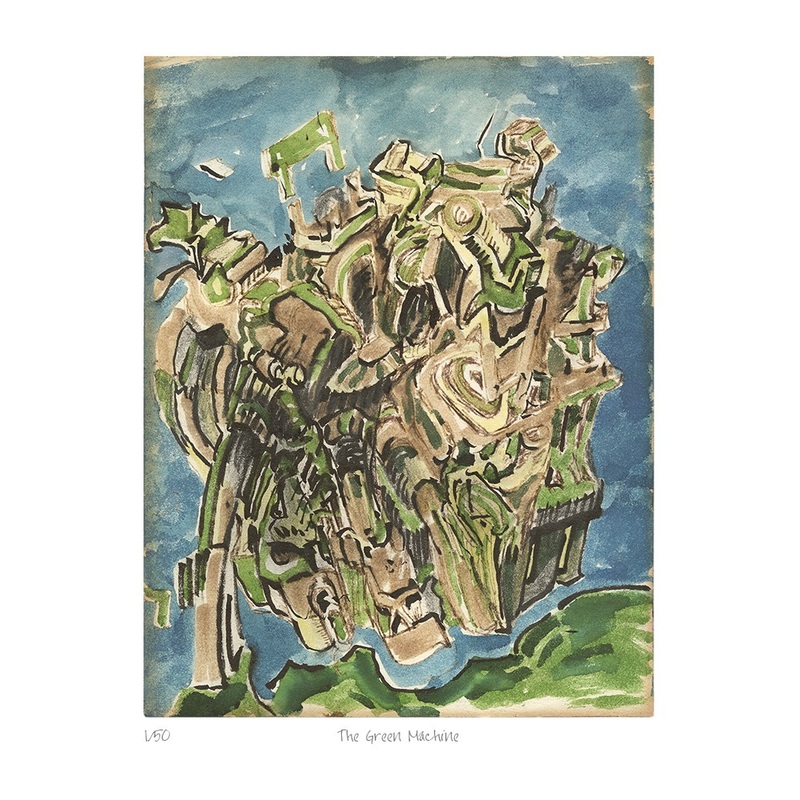 The Jerry Garcia Family is pleased to unveil "The Green Machine," an abstract pen and marker drawing by Jerry Garcia published as a limited edition giclée. 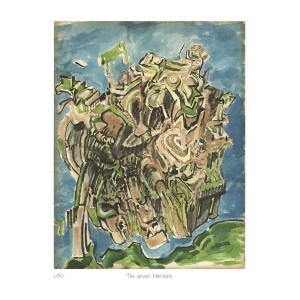 Created circa 1988 by Garcia, the drawing takes its title from the predominant green tones and vaguely mechanical images. During this period Garcia spent much of his spare time creating art as an avenue of expression, a distraction from vices towards a healthier lifestyle and a great way to spend time with his kids, but also as a means of retraining his hands following a coma in 1986. Jerry's whimsical style of drawing can be compared to his musical explorations. "The Green Machine" is originally a 4" x 6" drawing made on spiral bound paper. For the purposes of this print, the original image has been enlarged to 7" x 9" and printed on 11" x 15" sized paper. The giclées are printed on Hahnemuhle Museum Etch 350 gram paper embossed with the Jerry Garcia Family seal of authentication. A certificate of authenticity also embossed with the Family seal and signed/numbered by Jerry's daughter Trixie is included with each print. The print is limited to an edition of 50 with 15 artist proofs and will not be reprinted. The first 25 prints will be available for $450. The remaining 25 prints will be made available for $750.